A reception party after the wedding is the best time for the couple to enjoy with their friends and family. It’s a wholesome party where brides want to look their best as well as comfortable so that they can enjoy every bit of it gracefully. Therefore, getting the best outfit for the reception is surely a task. So, just to ease your difficulty, we present you some fresh labels which have very reception ready outfits. 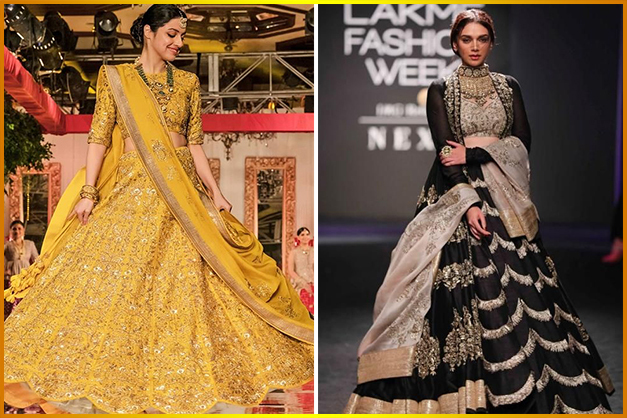 Their collection includes lehengas to gowns and even fusion outfits! So check them out- from subtle to extravagant, there’s something for every type of bride! Disha Patil’s use of soft pastels and subtle shades make her outfits total love. 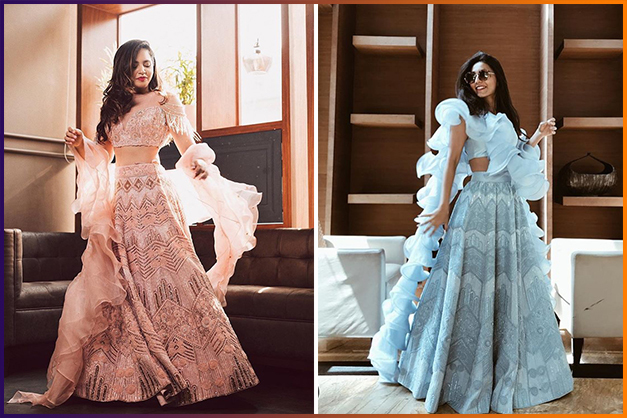 The trendy silhouettes, plus the addition of ruffles is just perfect for the bride who wants create a statement with her outfit. The attires by Malasa are designed on the lines of Parisian romance that blends with the Indian body type. They have explored Indian silhouettes and then added a twist of modern drapes to their outfits. 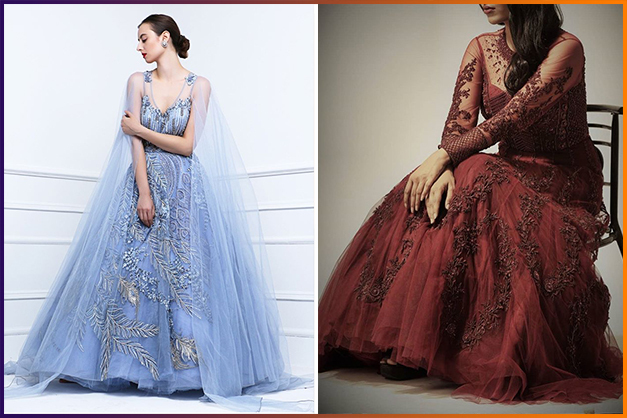 Their gowns and lehengas are carved out of fine fabrics of lace and Georgette with enchanting embellishments. 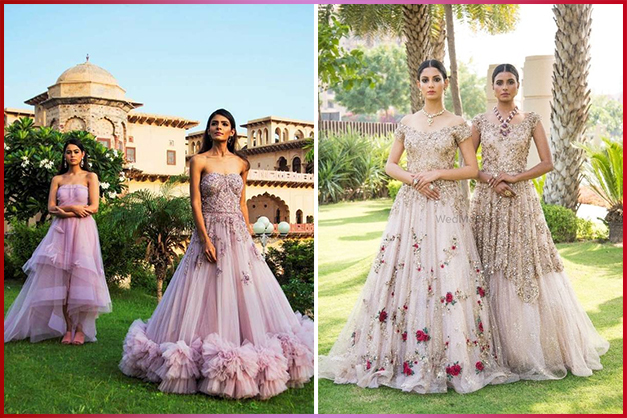 The intricate detailing as well as the embroidery of the gowns by Studio Naff is totally impeccable. Their gowns are just perfect to create a fairy tale moment for the brides. 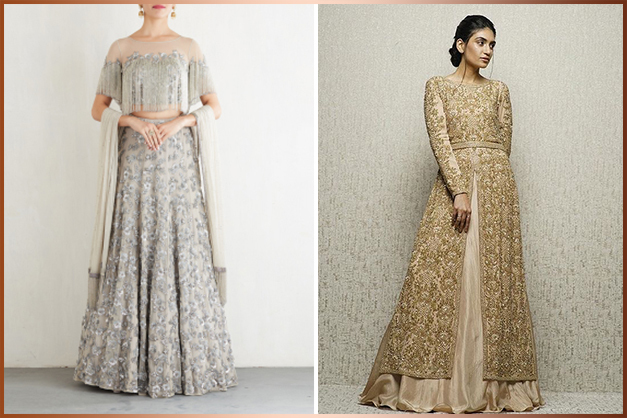 Jayanti Reddy is known for elegant silhouettes that tease the breeze. Her spectacular fuller lehengas with beautiful embroideries are a very good choice for a reception party. Outfits by Dolly J are inspired by the Indian form of minimalism Their chic evening gowns have a unique approach and they highly reflect uber craftsmanship and design. Also read: Top 5 picks for a Summer Wedding!